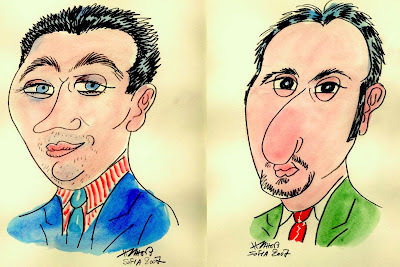 12.02.2009 – It starts next Monday, the special Candidates Match between Veselin Topalov and Gata Kamsky in Sofia. The Topalov team has already taken residence in the Bulgarian capital, Kamsky and his helpers arrive today. Topalov, a Bulgarian who lives in Spain, enjoys the home field advantage – theoretically. There are, as he stresses, also disadvantages. Interview with Dagobert Kohlmeyer. Monday, February 16 is the start of the World Championship Candidates Final between Veselin Topalov and Gata Kamsky, to be held in Sofia, Bulgaria. 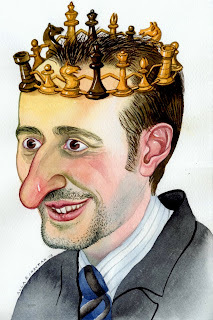 Former World Champion Veselin Topalov, who is a native of Bulgaria (but lives mainly in Spain) and US grandmaster Gata Kamsky, originally from Novokuznetsk in Russia – he is from a Tatar family and was originally called Gataulla (Gata) Kamskiy – will play an eight-game match. The prize fund is US $250,000, and winner is scheduled to challenge World Champion Viswanathan Anand later this year. The Topalov team has been in Sofia for a week now, while Gata Kamsky and his team will arrive in the Bulgarian capital today (Thursday, February 12th). The former have taken residence in the five star Kempinski Zografski hotel, while the Kamsky team will be in the five start Hilton just across the street from the venue, the 6th Hall of the National Palace of Culture. Who will win the Topalov - Kamsky match? Will it be Topalov or Kamsky? The Topalov - Kamsky Challengers match and the Linares 2009 chess tournament have basically the same time frame. Both start the week of the 16th of February and continue for a couple of weeks. The Chessdom.com readers will be able to enjoy the Challengers match and the Linares 2009 with live games commentary. GM Vladimir Dimitrov, who commented last year Anand - Kramnik, will cover the games of Kamsky - Topalov. GM Christian Bauer, GM Valentin Iotov, GM Dejan Bojkov, and IM Miodrag Perunovic will be the commentators for the Linares chess tournament. Veselin Topalov's team for the Chess Challengers match has already arrived in Sofia. The one of Gata Kamsky is expected to land on the 12th of February. The event starts on the 16th and Bulgarian media already produce massive information about the match. Chessdom.com will present you daily the most interesting information, interviews, and news. This one was pointed out by Kaleid, an interview with Silvio Danailov published in Standart newspaper. Mr. Danailov, the Challengers match starts in a few days. You had lots of obstacles on the way, was there a possibility that the match didn't take place? Yes, it wouldn't take place if Kramnik had won against Anand. The Russian influence is very strong. It is clear that Topalov is number 1 and Kramnik avoids playing with him. He even refused playing in Sofia for 1 million dollars. The other obstacle was coming from Kamsky's team, who thought that this a million dollar match and did not want in any case the event to take place in Bulgaria. We gave them 8 months to look for money. We told them we would play anywhere in the world. For me the match in Bulgaria is not the best option because a lot of national funds get spent. The pressure for Veselin and for me is big. A loss will be a real national tragedy. Everyone expects victory, while this will be a very difficult match. I preferred that it were played abroad. In the end they could not find the money and it was either our offer or no match. I am happy that they were reasonable and this match will take place. Did Veselin Topalov compromise during the negotiations? He did, Topalov did not want to play in Bulgaria. Outside it would have been much calmer. Even if he lost, it would not be a drama. Here the whole Bulgaria will be watching him, he is a national hero. The other thing we had to give up was the Linares 2009 chess tournament. We had a signed contract and thanks to the fact that the mayor of Linares is my friend, the contract was annulled. Either Vesko had to give up Linares, or Kamsky Wijk Aan Zee. Gata did not step aside. From this situation we do not only lose money. We have been working with this people for 15 years and we are very close. I want to thank them for making this gesture. We are professionals and we have never broken a contract. This is the first time in our career. It is not good, but it is a force major situation. What are you worried about before the match? Bulgaria will make a fantastic preparation. We have big experience with the 4 Mtel Masters tournaments. We will become a reference for this type of events in the future. I want to thank the government, the sponsors, the National agency for youth and sport, all of them enthusiastically helped us with the preparation. My only worries are not to disappoint them. This loads us and obliges us too much. However, this match gives a great opportunity to popularize chess among young people in the country. Topalov was in top notch form in the end of last year, when his match was expected to be. What is his condition now? It is difficult to say with precision. Vesko is growing stronger, he won last year's two biggest events, in Nanjing and Bilbao. Let's hope the climax will be the match with Kamsky. And if he qualifies with the match with Anand? I do not want to think about that, first "A" then "B". What is the difference with the match with Kramnik? 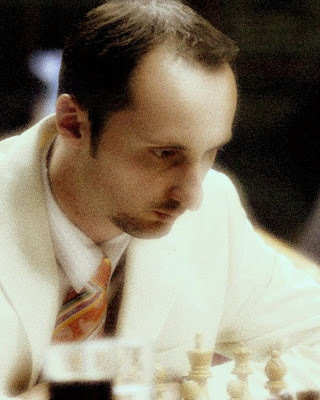 Topalov has much more experience. Our team is also more experienced. We learned a lot from the match in Elista. Kamsky's career also went through Elista? What were Kamsky's requests and conditions for the match in Sofia? He wanted to increase the prize fund, which was done. Before it was 150 000 dollars, now it is 250 000 dollars.He achieved everything that he wanted. He wants to bring a specialist to check the playing hall. I heard he's been working for MOSSAD. Let him come. We do not have anything to hide. Why is this fear from electronic devices in chess? You were in Wijk Aan Zee, which has just finished. How do you evaluate Kamsky's performance? He was alone. He was hiding. He did not have any team. It was obvious he did not care and plays just to fulfill his contract. His thoughts are directed to the match with Vesko. His team is hidden and working. Nobody knows who is it and where it stays. In such matches there is a silent game between the managers as well. Tell us something about Emil Sutovsky? He is not his manager, he is his speaker. At first the negotiations were with the wife of his father who is an advocate. Later on with Chernenko, with his father, and in the end appeared Sutovsky. To be a manager you have to have at least one contract in your life, and to have found at least one sponsor. Actually, Kamsky does not have a manager, he decides alone. He temporarily uses some people to help him. Is it an irony that you brought back Kamsky to chess? Yes, and I am not sorry. All my intentions have been noble. I knew it was good to give Gata a chance. He is a very interesting player. We have known him for a lot of time. 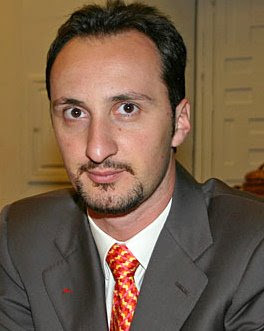 Topalov was his second for the match with Kasparov in New York in 1994. Topalov lived in Kamsky's house. Now I brought him back to chess, he receives a lot of invitations, and he will play against us. But that's the way life is. 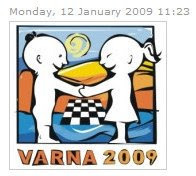 The 4th European Open School Team Chess Championships will take place 11-21 June 2009 in Varna (Bulgaria). The categories will be as follows: U8, U10, U12, U14 and U16. The tournaments will be held under the patronage of Mr. Georgi Parvanov, President of the Republic of Bulgaria. The Bulgarian Chess Federation, the National Children's Chess Foundation "Morsko Konche" and the Municipality of Varna in the assosiation with the European Chess Union and the International School Chess Union have the honour of inviting the National Chess Federations and the School Chess Teams from Europe and all over the world to participate in the "IV OPEN EUROPEAN SCHOOL CHESS TEAM CHAMPIONSHIP" organized in Varna, Bulgaria from June 11th to June 21st 2009 and in the "VI OPEN EUROPEAN FESTIVAL "THE HOPES OF THE WORLD" from June 22nd to June 29th 2009. Registration forms must be filled by the National Federations or the School Administrations and send by e-mail to the Organizing Committee not later than April 20th 2009. Topalov is wild fire on board. Kamsky is cool ice on the 64 square. Who do you pick to win the upcoming Topalov - Kamsky match in Sofia, Bulgaria? On Februrary 21st 2009, during the Kamsky - Topalov match in Sofia, GM Kiril Georgiev will make a Guiness record attempt facing 450 players in a simul. For the unique event a labyrinth of chess boards will be built in the Expo center. The event will be dedicated to the 130th anniversary of naming Sofia capital of Bulgaria. To qualify for the Guinness world record the simultaneous master GM Georgiev has to win at least 80% of the games (360 out of 450 games). More details will be published later this week on Chessdom.com. The previous record belongs to GM Susan Polgar. It was set in an exhibition simul in Palm Beach, Florida, in July 2005. 326 simultaneous Games Played (309 wins, 14 draws, 3 losses) in 16 hours and 30 minutes. In the event GM Polgar broke four international records including: largest numbers of simultaneous games played (326, with 309 won, 14 drawn and 3 lost); most consecutive games played (1,131); highest number of games won; and highest percentage of wins (96.93%). Moreover, she had to walk over 15 kilometers! The leader in the world chess ranking and former World Chess Champion Veselin Topalov won the super cup in the Chinese city of Nanjing a round before its end, with which he went beyond the magic limit of 2800 ELO rating points. The award fund of the cup amounts to 250,000 euro of which Topalov will receive 80,000. His best achievement so far was 2813 ELO rating points in July 2006. Only Gary Kasparov has ever had a higher ELO rating than the Bulgarian chess master. Sofia. The names of this year’s competitors for the Bulgarian Sportsperson of the Year Award are already known, FOCUS News Agency reporter informs. These are: Veselin Topalov (chess), Grigor Dimitrov (tennis), Dimitar Berbatov (football), Kiril Terziev (wrestling), Kubrat Pulev (boxing), Petar Stoychev (swimming), Radoslav Velikov (wrestling), Rumyana Neykova (rowing), Stanka Zlateva (wrestling), Yavor Yanakiev (wrestling). Vesela Lecheva, Chairman of the State Agency for Youth and Sports, supported the bid of the Bulgarian Chess Federation to organize the semifinal match for the world championship title between Veselin Topalov and Gata Kamsky, Radio Gong reported. Having in mind the importance of the competition and its complex preparation, and in order to provide optimal conditions for the players and the media, Bulgaria suggested this match to take place from 3rd to 15th February 2009. Possible hosts are Sofia, Plovdiv, Veliko Turnovo and Bansko. In a letter sent to FIDE President Kirsan Ilyumzhinov, Ms. Lecheva stressed that all necessary financial guarantees are ready. Meanwhile, Bulgaria is surprised with the change of financial parameters for the match, which expanded to 300 thousand U.S. dollars, without clear argumentation. A few hours after Vesela Lecheva's statements on the national Darik radio station, official letter has been sent to FIDE. Here is the full text of the Kamsky - Topalov match proposal. 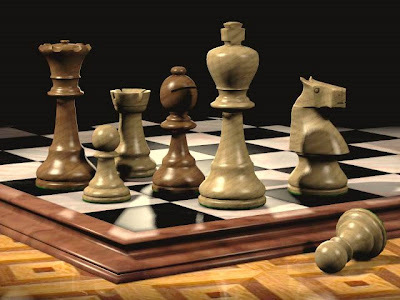 Report "Susan Polgar Global Chess Daily News and Information"